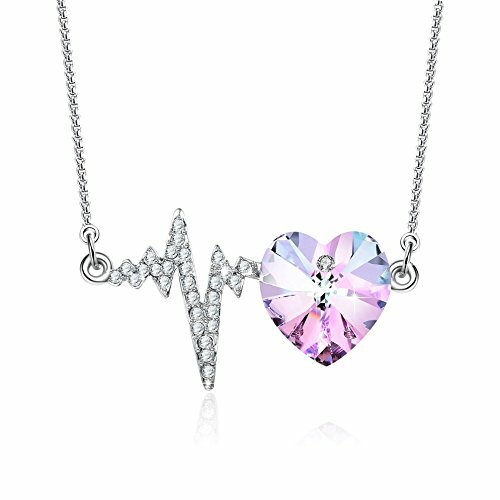 ♥Flipped♥Pink crystal necklace was inspired by the electrocardiogram.The heartbeat moment of meet the true love,hearts beat as one.Love may be beautiful,love may be bliss. Heartbeat is the finest gift of nature,be grateful for this wonderful gift. 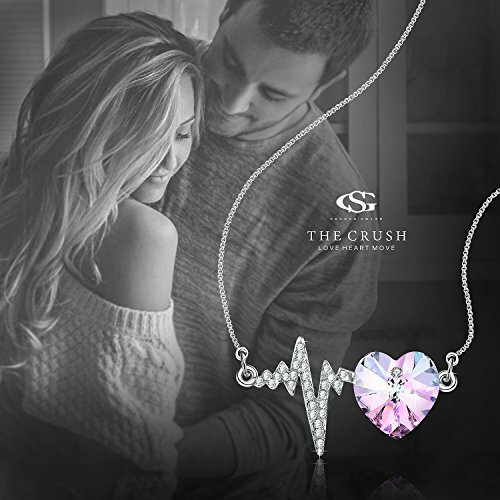 ♪Gift Ideas♫swarovski crystal necklace comes in an elegant jewellery gift box.Ideal gift for girlfriend,couple,girls,wife,best friend,daughter,mom,grandma,sister on Birthday,Anniversary,Valentine’s Day,Wedding,Christmas,Thanksgiving Day,Graduation,Mother’s Day. ◈Women are from Venus,have a natural God given desire to look good. Jewelry enhances her look as it draws attention to them and certain physical features. 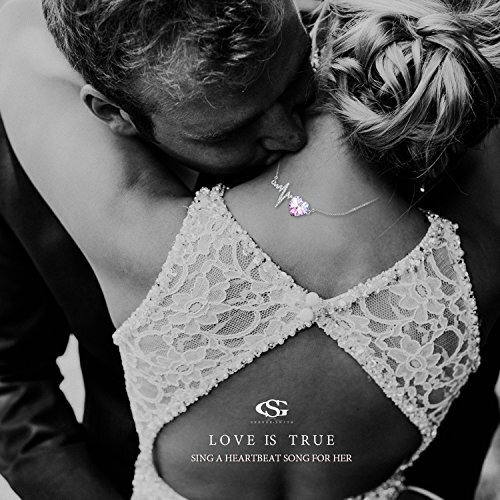 ◈GEORGE SMITH,a Luxury jewelry brand, Insists on original design,always believe that jewelry is a part of artistic expression,every piece of jewelry has it is own soul and story. ◈Women wear Jewelry as a way to communicate their personality. 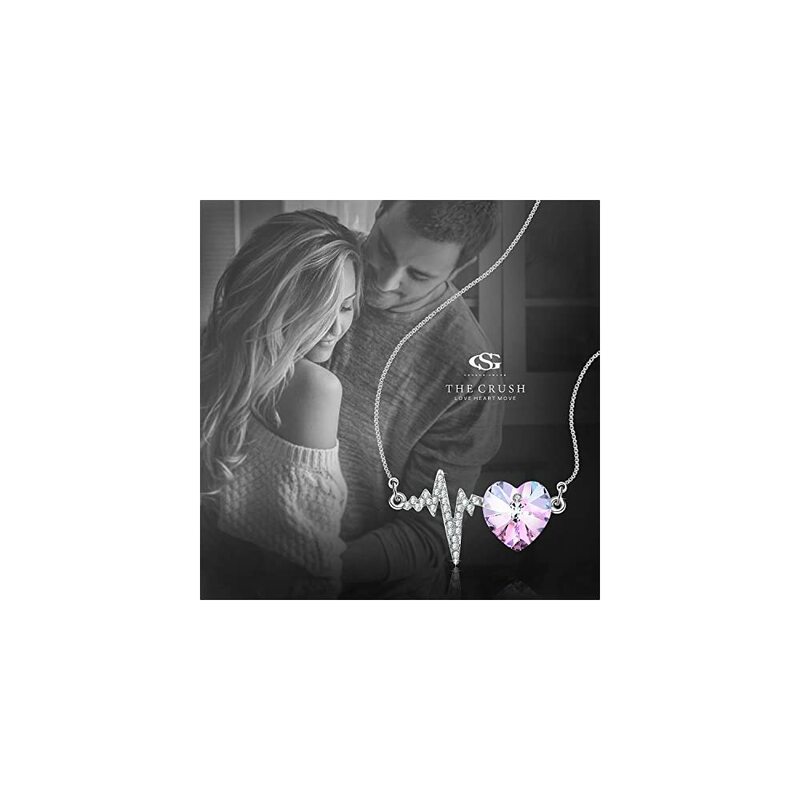 ◈GEORGE SMITH is renowned by its elegant and original jewelry,Ideal gifts for daughters, mothers, wife, and friends for Christmas Day, Wedding Anniversary Day, Valentines Day and Birthday. 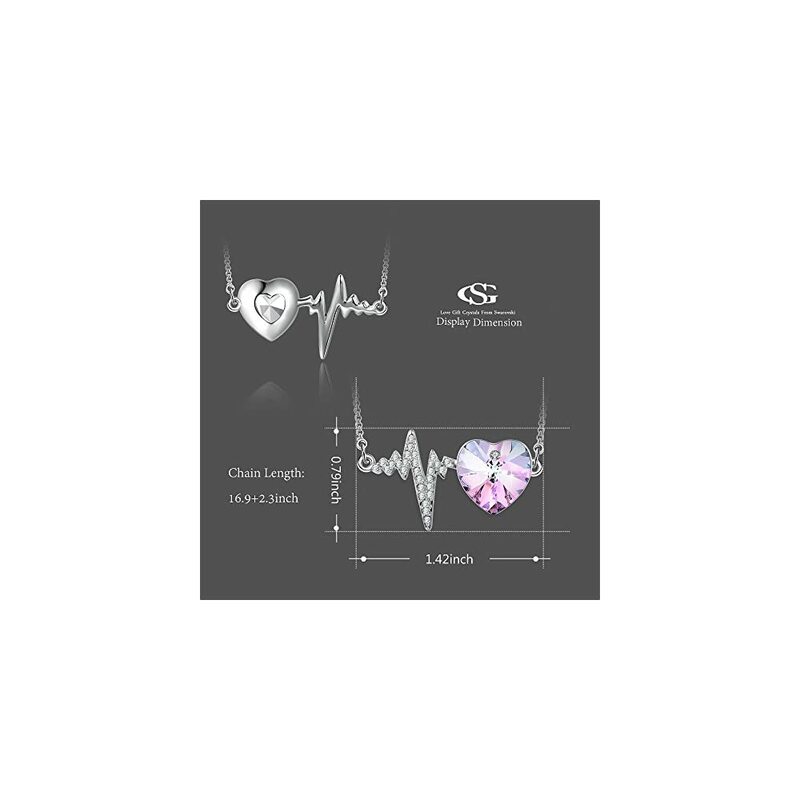 ◈GEORGE SMITH has its own factory with many years’ professional experience ,lots of jewelry technology patents and have a better control of quality. ◈Each jewelry comes in an elegant jewellery gift box,match the jewels well, totally a great choice for gifts. ღGEORGE SMITH Jewelry is committed to providing the best costume jewelry and customer service to our customers. 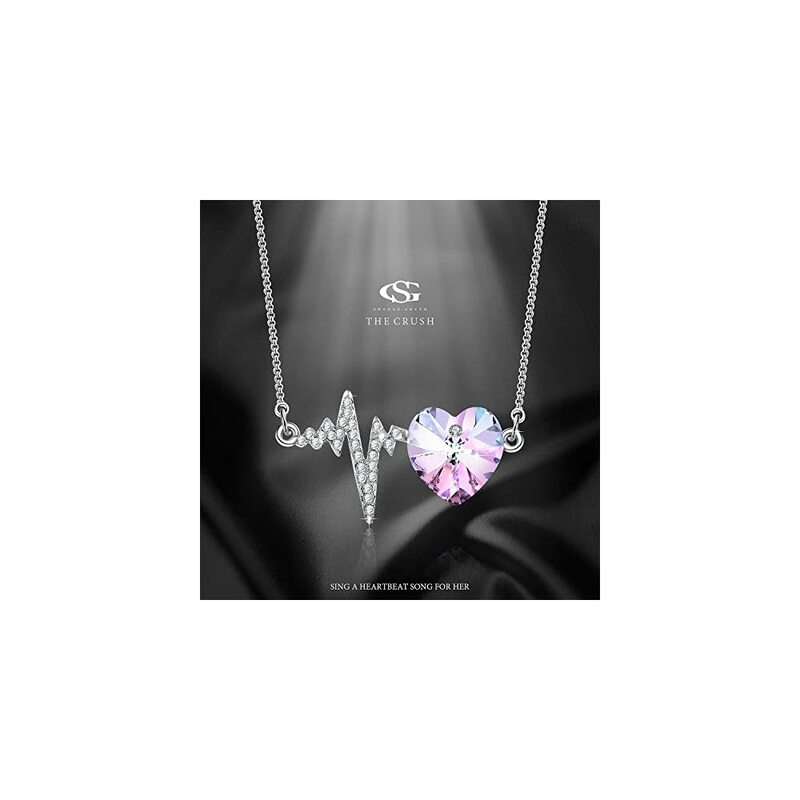 ♥Store your jewelries separately in a gift box or sealed bag. ♥Keep it dry and away from chemicals, sweat, bath, and Avoid friction and hard objects to avoid scratching. ♥Rub your Jewelry with a clean soft cloth after wearing. 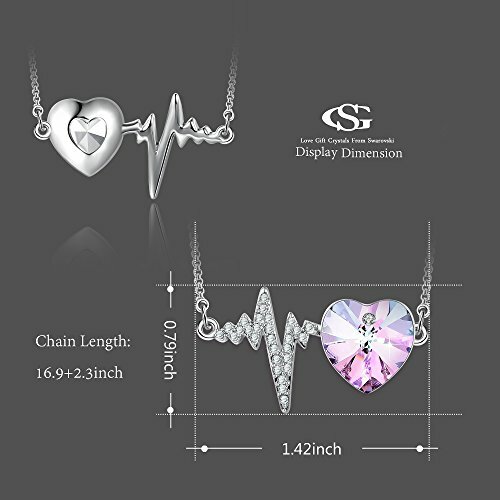 Click on”GEORGE SMITH” for more necklaces, bracelets,watches. there are more glamorous and unique styles for your choice. Thank you. 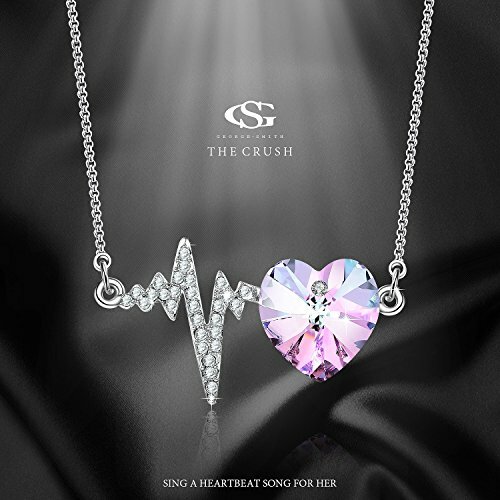 This necklace caught my eye immediately and I fell head over heels in love with it. It is stunning in the pictures and even more breathtaking in person. I wear it constantly and I get so many compliments on it, especially when I wear it during a shift on the ambulance. I have purchased several more as gifts for family, friends, and fellow EMS colleagues. The FD and company I work at actually purchased several as door prizes for EMS week this year, because everyone loves them so much. It makes my heart happy to see my EMS/medical friends and family wearing such a beautiful symbol of life. This is an amazing deal on a truly beautiful creation. Don’t pass on this. It’s absolutely perfect!!! It is very pretty I really like it too! I love this necklace and the way it sparkles in the sun, its one of my many favorites, The chain I have to wear with extension cause 16,9 not long enough to sit were i want it to sit. but yes it is gorgeous. I got the purple-arrow. quite a collection going on . But what more can we ask for in life than to have things that we love. i have one of these and i love it , i plan to buy more to use as gifts as everyone like it!